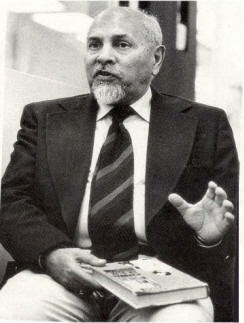 The late Colonel Mohammad Ata-Ullah, S.K. O.B.E. founded Indus Valley Construction Company (Pvt) Limited, in 1958 and was its first Managing Director till 1975. Graduating as a doctor in 1928, he joined the British Indian Army in 1930. He had a remarkable career travelling all over the world and serving in a number of capacities. The year 1933 found him in the middle of the North West Frontier. As a doctor and administrator he served in Central India, Iraq, Egypt, Lebanon and Muscat. On the creation of Pakistan in 1947, Col Ata-Ullah became the first Director Health Services of Azad Kashmir. After a distinguished career he retired from the Pakistan Army. However his irrepressible desire for making the most of his life now opened new and challenging avenues for him. He became a consultant in logistics and Resident Manager, Pakistan, for the Hunt International Petroleum Company, which was prospecting for oil in Pakistan in the early fifties. His ardent love for mountaineering led him to join the 1953 American Expedition to K-2, the second highest mountain in the world. A year later he accompanied the successful Italian expedition to K-2. He took to flying after the age of 50 and successfully obtained a commercial pilot license. When the Lowell Thomas Cinerama Production came to Pakistan to film “Search for Paradise”, Col. Ata-Ullah was appointed its co-manager in Pakistan. With vast experience of administrative affairs he quickly became an indispensable troubleshooter for the unit. In a continuous search for new experiences, Col. Ata-Ullah’s next project was a very readable and well compiled autobiography. Called ‘Citizen of Two Worlds’ the book was published by Harper & Brothers, New York, in 1960. It was only natural that having achieved almost everything that he ever wanted to do, Col. Ata-Ullah next turned to the field of engineering. Indus Valley Construction company (IVCC) was accordingly born in 1958. Today, IVCC is a mature and highly successful company, which celebrated its Golden Jubilee in 2007-2008. Its founder’s fundamental policy of seeking challenges and doing a job well continue to be the cornerstone of IVCC’s philosophy.